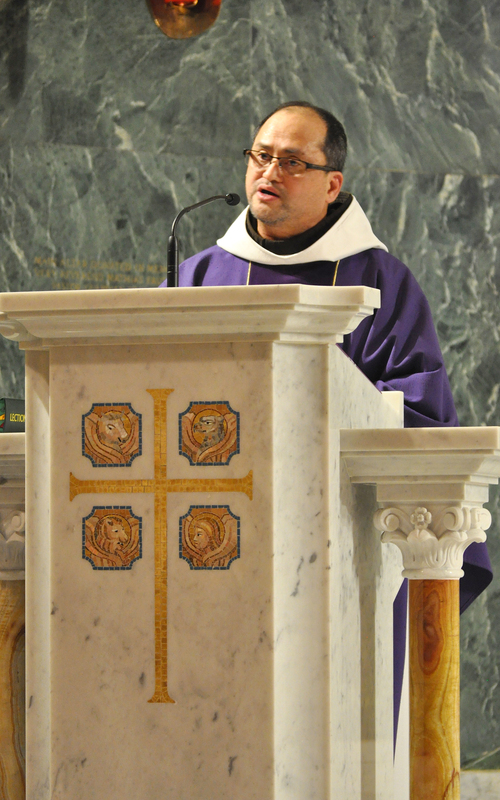 Filipino Americans in New York held a Memorial Mass for Typhoon Haiyan victims and survivors at the Church of St. Francis of Assisi in November. NEW YORK CITY – With the seeming lack of action by the U.S. government on the Philippines’ request for Temporary Protected Status, several Filipino American organizations in the New York-New Jersey area have banded together last week to press for the immediate granting of the status. “As one Filipino community, let our voices, let our coming together, once again remind the Department of Homeland Security of the pending request for TPS,” Fr. Julian Jagudilla, OFM, Director of the Migrant Center at the Church of St. Francis of Assisi (CSFA), said. “The TPS can and will be a big help in easing the suffering of Filipinos in the U.S. who have families and friends directly affected by Typhoon Haiyan. We are asking the Obama administration and the DHS to be sensitive to the plight of the Filipinos here in the U.S. as well as of those in the Philippines,” Fr. Jagudilla, who convened the meeting on Jan. 9 at CSFA, said. The new coalition, TPS for the Philippines Now, has scheduled a forum and an interfaith vigil to rally the community to campaign for the speedy approval of the TPS. 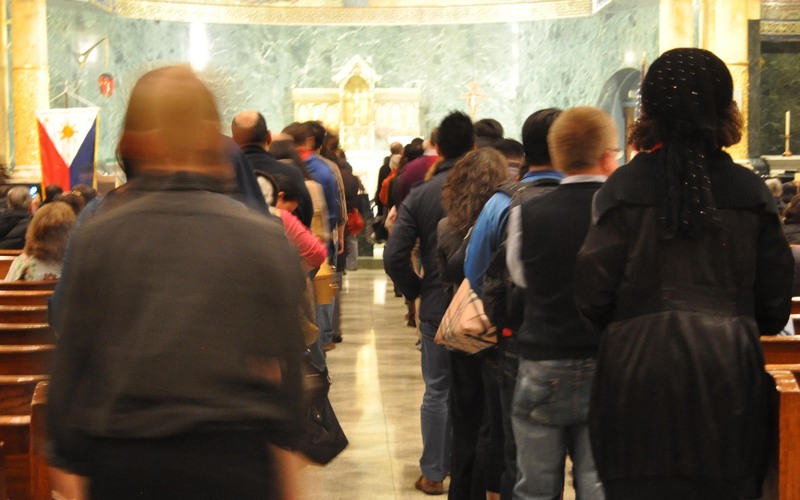 The forum, which aims to gather widespread support for the granting of the status, will be held on February 1, Saturday, from 1 to 4 p.m. at the San Damiano Hall of the Church of St. Francis of Assisi in midtown Manhattan. On February 13, an inter-faith prayer vigil in support of the TPS campaign will be held from 6 to 7:30 p.m. in front of the DHS office at 26 Federal Plaza in downtown Manhattan. Under Section 244 of the U.S. Immigration and Nationality Act, a Temporary Protected Status or TPS can be granted to foreign nationals in the U.S. when conditions in their home countries temporarily prevent them from returning safely, or in certain circumstances, where the country is unable to handle the return of its nationals adequately. The secretary of homeland security can grant TPS in cases of ongoing armed conflict, environmental disaster, an epidemic or other extraordinary and temporary conditions prevailing in a foreign national’s country. Due to the devastation brought about by Typhoon Haiyan, the Philippine government requested for a TPS designation. Philippine Ambassador to the U.S. Jose L. Cuisia, Jr. handed the request to the DHS through a note verbale to the Department of State on Dec. 13. Nothing has been heard from the DHS since then. Advocates for the granting of the TPS believe that it can help alleviate harsh condition that Filipino in the Philippines and in the U.S. are going through in the aftermath of Typhoon Haiyan. TPS would also allow Filipinos who normally cannot leave the United States to apply for travel authorization and fly to the Philippines to be with family, help locate missing kin and help rebuild livelihood and communities. Fr. Longalong said that during one of the Simbang Gabi Masses he celebrated in Woodside, Queens, he met a Filipino who had just gotten word that a few of his relatives had drowned during the typhoon while a few more were missing. “He didn’t know what to do because he couldn’t leave the country because of his immigration status. He had not seen his family in over ten years,” he said. Filipinos in other cities have also started their own drives to persuade the DHS to grant the TPS designation. Linda Oalican, overall coordinator of Damayan Migrant Workers Association, said several organizations, led by the National Domestic Workers Alliance, Pilipino Workers Center of Los Angeles and Damayan are scheduled to meet with DHS officials in Washington, D.C. on January 23. But whether the DHS will accede to the TPS request remains to be seen. “It’s hard to say,” lawyer Cristina Godinez, chairperson of The Stand Up for Immigrants of the Migrant Center at CSFA, said. “On one hand, you have Haiti that was given TPS ten days after the 2010 earthquake. On the other hand, you have Guatemala and Pakistan, both hit by natural disasters also in 2010, but are still waiting for their TPS until now,” Godinez said. 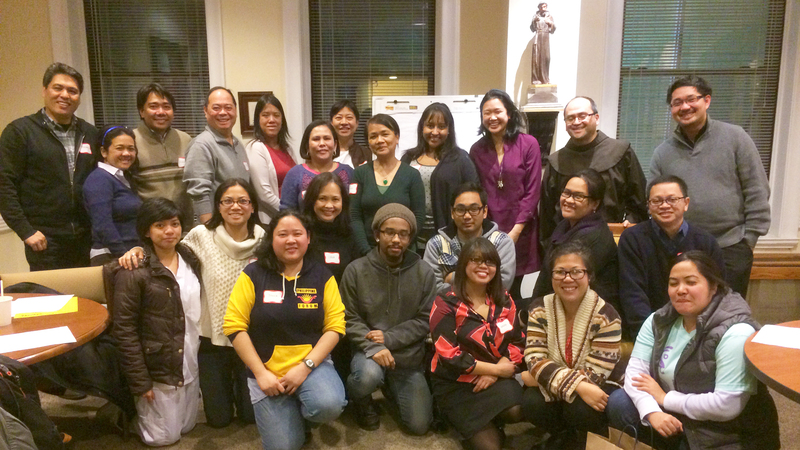 Aside from the Migrant Center at CSFA and the Filipino Diocesan Apostolate of the Diocese of Brooklyn, among those represented at the meeting last week were AnakBayan – New Jersey, AnakBayan – New York, Bayan USA, Damayan Migrant Workers Association, Filipino American Legal Defense and Education Fund (FALDEF), Gabriela – New York, ImmigraNation.com, National Alliance for Filipino American Concerns (NAFCon), New York Legal Assistance Group (NYLAG), Philippine Forum, Scalabrinian Center and Task Force Haiyan. « What is wrong with the U.S. immigration system?